Two time-traveling agents from warring futures, working their way through the past, begin to exchange letters—and fall in love in this thrilling and romantic book from award-winning authors Amal-El Mohtar and Max Gladstone. Among the ashes of a dying world, an agent of the Commandant finds a letter. It reads: Burn before reading. Thus begins an unlikely correspondence between two rival agents hellbent on securing the best possible future for their warring factions. Now, what began as a taunt, a battlefield boast, grows into something more. Something epic. Something romantic. Something that could change the past and the future. Except the discovery of their bond would mean death for each of them. There’s still a war going on, after all. And someone has to win that war. That’s how war works. Right? Cowritten by two beloved and award-winning sci-fi writers, This Is How You Lose the Time War is an epic love story spanning time and space. 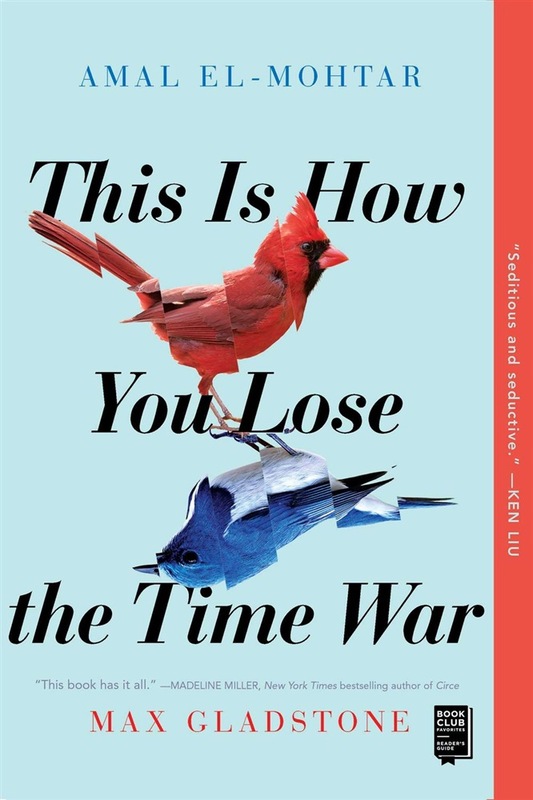 Acquista This Is How You Lose the Time War in Epub: dopo aver letto l’ebook This Is How You Lose the Time War di Max Gladstone, Amal El-Mohtar ti invitiamo a lasciarci una Recensione qui sotto: sarà utile agli utenti che non abbiano ancora letto questo libro e che vogliano avere delle opinioni altrui. L’opinione su di un libro è molto soggettiva e per questo leggere eventuali recensioni negative non ci dovrà frenare dall’acquisto, anzi dovrà spingerci ad acquistare il libro in fretta per poter dire la nostra ed eventualmente smentire quanto commentato da altri, contribuendo ad arricchire più possibile i commenti e dare sempre più spunti di confronto al pubblico online.